We hope that you are enjoying our weekly news feature, and we will continue to share some of the things we have been reading throughout the week in hopes that you will find them useful. They will mostly, but not always, be USANA-related items covering health, nutrition and business. Check out USANA’s new video, More Than a Vitamin (or press “play” above). It does a great job explaining why we do what we do. Among the great speakers at this year’s convention, photographer Dewitt Jones, was one of the highlights. You can check out his presentation and inspiring message, Celebrate What’s Right With the World, here. There is always something interesting to learn when looking into the routines and daily habits of geniuses, and while it’s not practical to model the habits of every genius, there are definitely some commonalities. 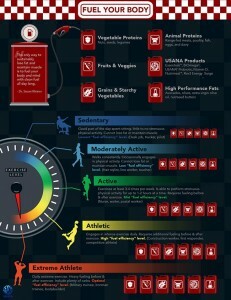 This is a great infographic from USANA about what and when to eat in order to fuel your body for weight loss. How to waste time in order to boost creativity. I wish I had this article to show high school English teacher. Another great infographic shows 15 scientifically proven ways to be happier, and it’s no surprise that a lot of it has to do with health, relationships, and gratitude. If we can fall in love with serving people, creating value, solving problems, building valuable connections and doing work that matters, it makes it far more likely we’re going to do important work. Have a great weekend and love what you do. 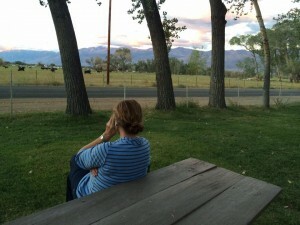 Collette, loving what she is doing, conducting a team conference call in Bishop, California.